Once in a very rare while, a home arrives that possesses that magical blend capable of simultaneously stirring both hearts and imaginations. This is that kind of rarity. The lofty views harken memories of a tree house while its 4,708 square feet are grounded in details that are precise and inspiring. Just a few steps from the front door, you’re confronted with a panoramic greeting that never grows old. 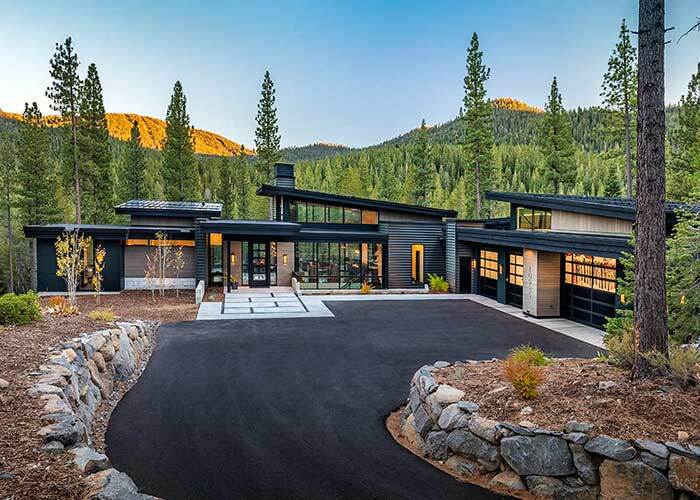 The living room stretching before and above you is anchored by a western wall of glass uninterrupted by a low-slung fireplace that underscores the skyline of the Pacific Crest beyond. Beyond this gallery-like living room is a wide deck perched at treetop level. 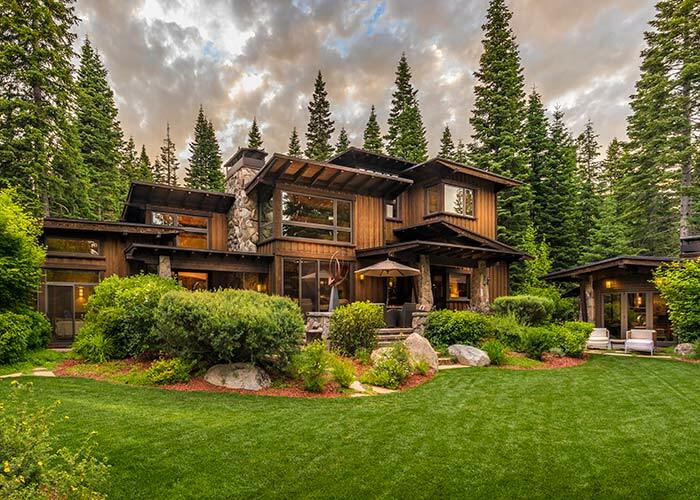 Other elements of this mountain contemporary 4 bed/5.5 bath estate home include an elegant kitchen with plenty of storage and a front row seat to the outdoor parade on display from the living room and dining room. Just beyond the kitchen is a media room with a terraced wrap-around patio that guests in other rooms (including the bunk room) have access to. This deck includes a hot tub, firepit, dining space and forest views. From the master suite, you’ll find soaring windows as well as a deep porcelain tub with dreamy views. Cabinets are Shaker-style alder with a mocha stain while countertops are Mascarello polished granite. The floorplan is woven together by an exquisite pattern of Homerwood flooring with a Jamocha finish. Appliances are Wolf, Bosch, Sub-Zero, Miele and Sharp. 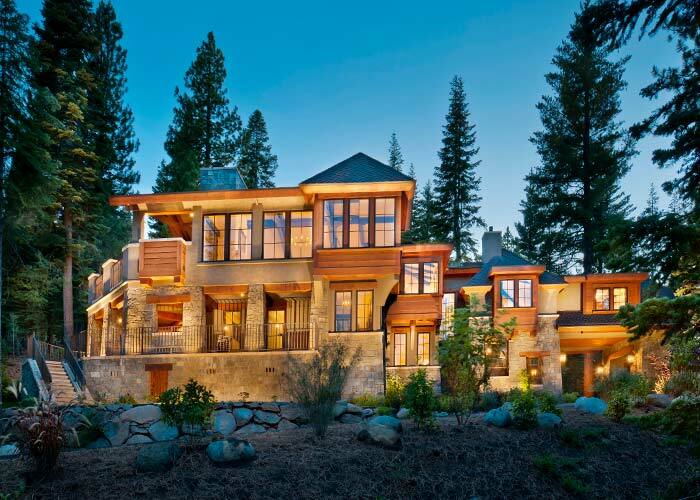 Altogether, this striking home is an ideal setting for entertaining crowds on an intimate as well as elaborate scale.